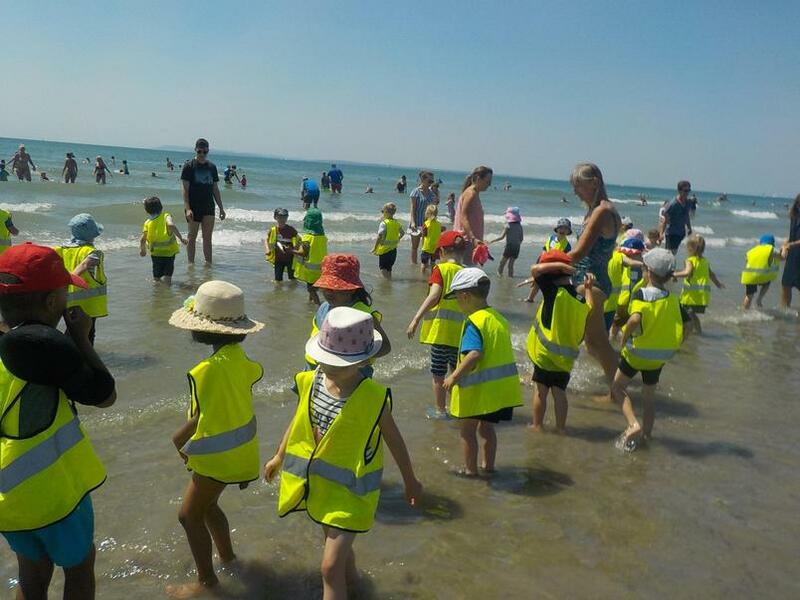 In Reception we have been learning about the British Seaside, including changes that have been made over 100 years, 60 years and the present day. 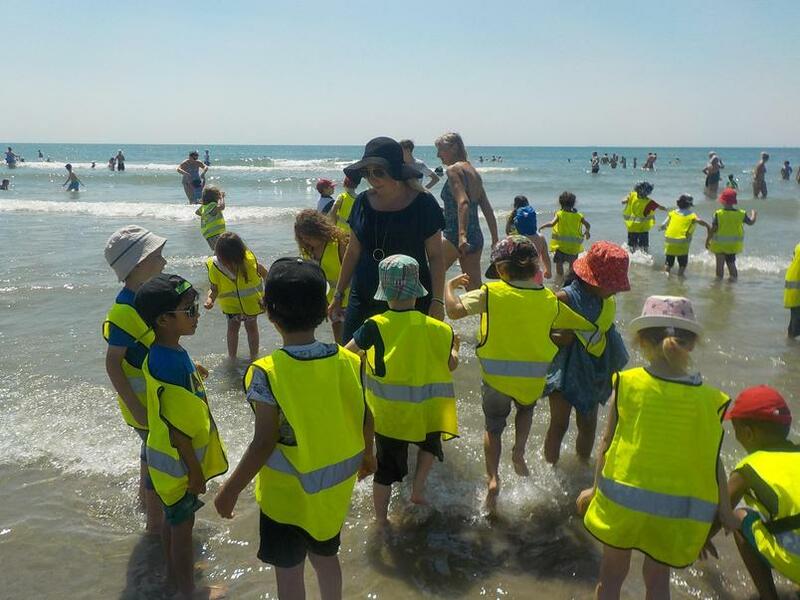 The adults in Reception shared photos of their own parents, grandparents, great-grandparents and also themselves as children at the beach throughout the various time periods. 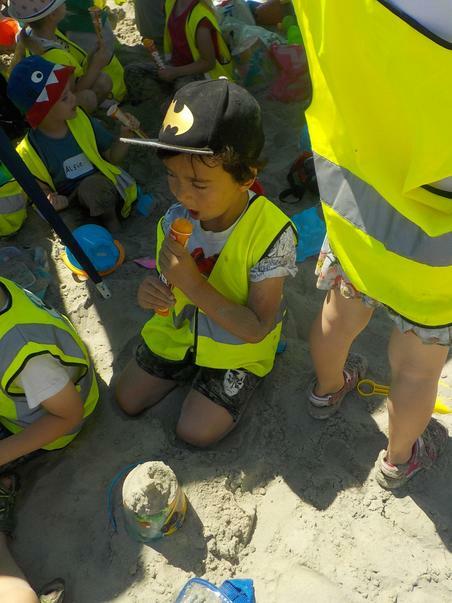 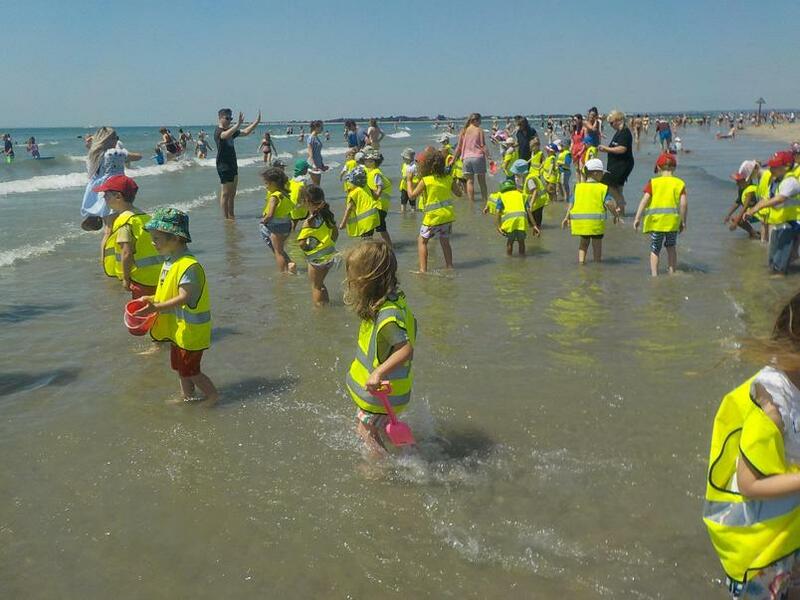 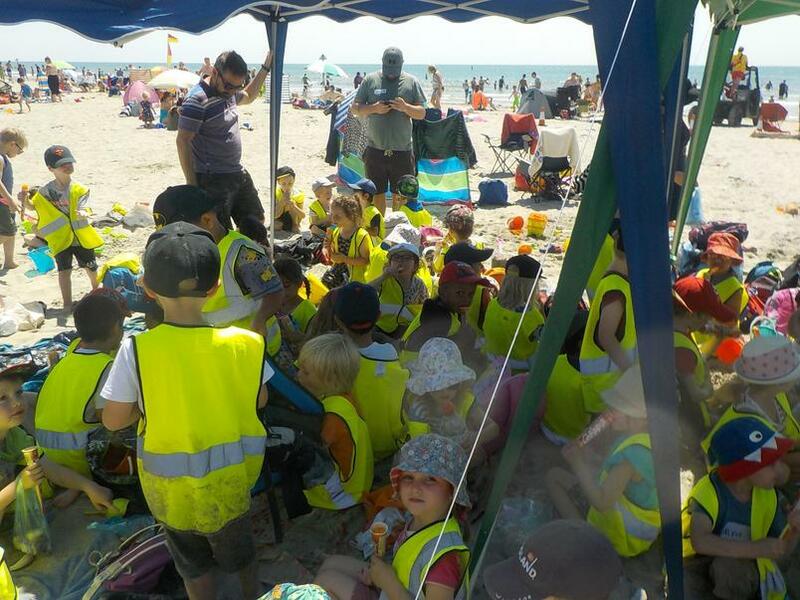 We have been learning whilst in the classroom the various forms of transport to and from the beach, what entertainment will be enjoyed throughout the day; additionally we learnt about Punch and Judy and how the bucket and spade has evolved throughout the years. 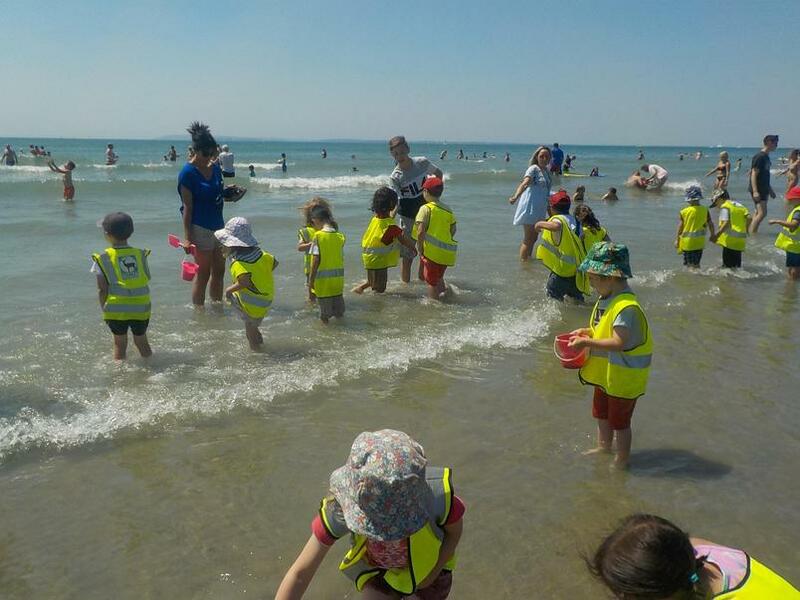 This culminated in a trip to the seaside as we got to experience what a trip today involves. 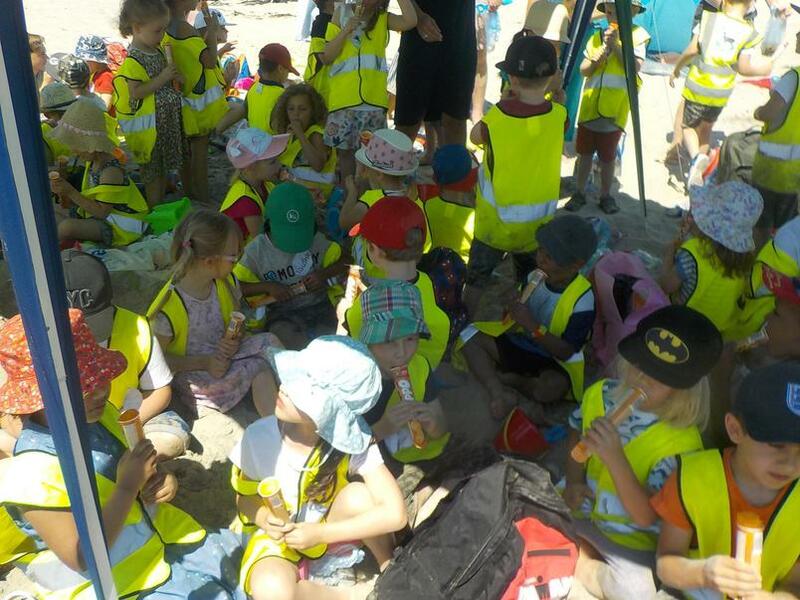 We took the coach journey down to West Wittering beach which fortunately involved a viewing of Peppa Pig. 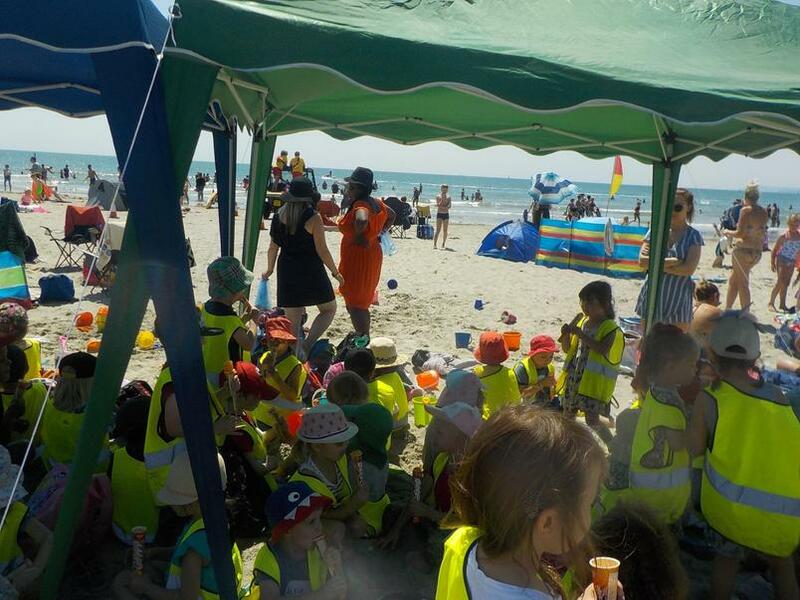 As one parent said, “It was like England had won the World Cup when Peppa Pig was put on.” It went down well with the children and adults! 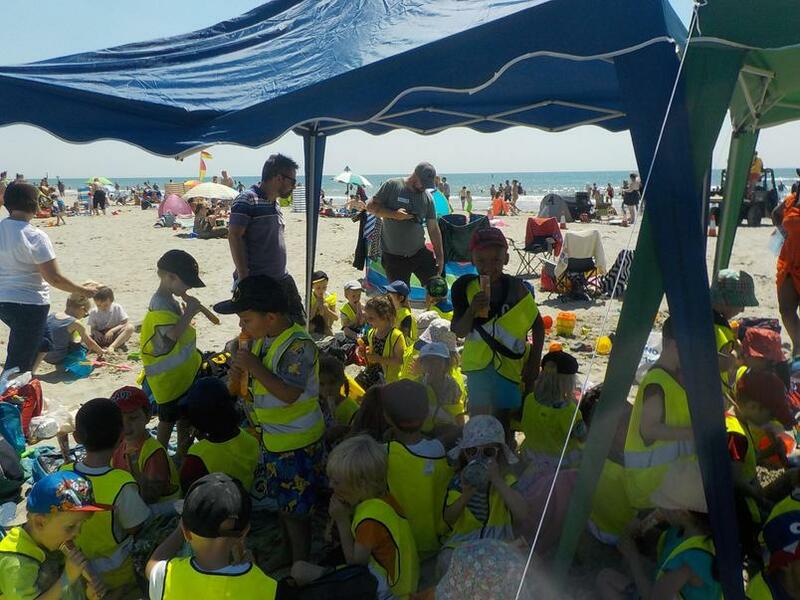 We arrived at the beach and after setting up the gazebos it was time for lunch. 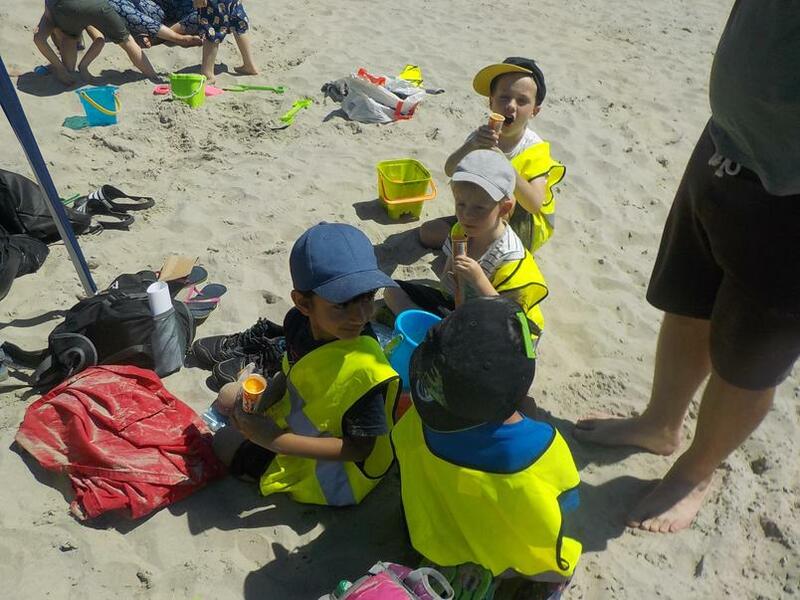 We then enjoyed sandcastle building (using a plastic bucket and spade), a paddle in the sea followed by an ice-cream. 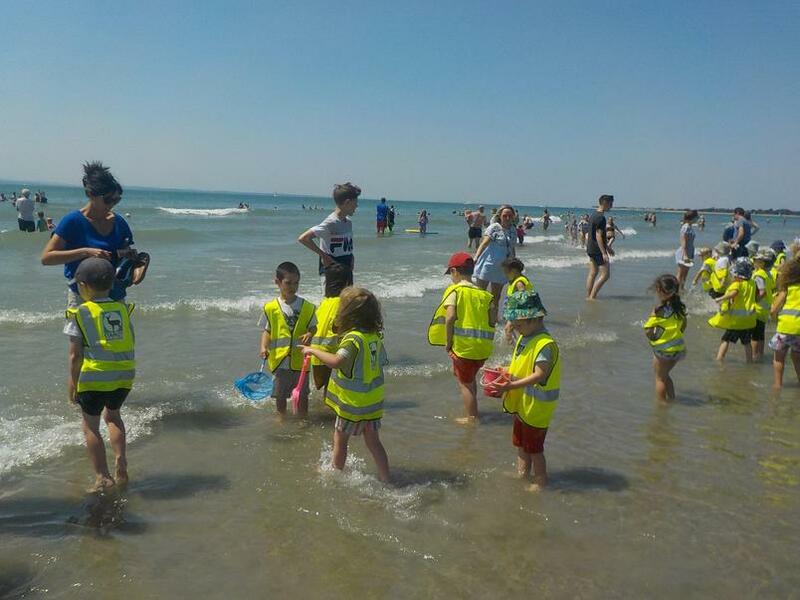 Some children were scared or shy of the sea, however by the end were ecstatically jumping in the water. 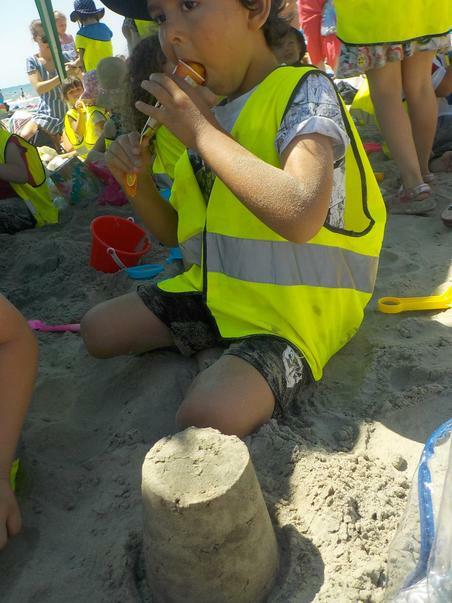 The children clearly loved it and had a wonderful day. 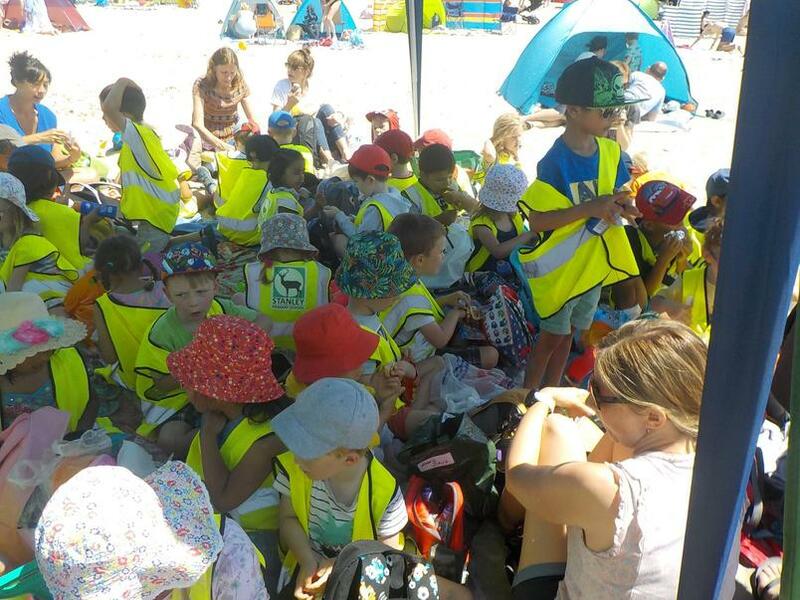 The children finished their day with a snooze on the way home and have since been writing recounts of the trip and postcards of their own favourite holiday. 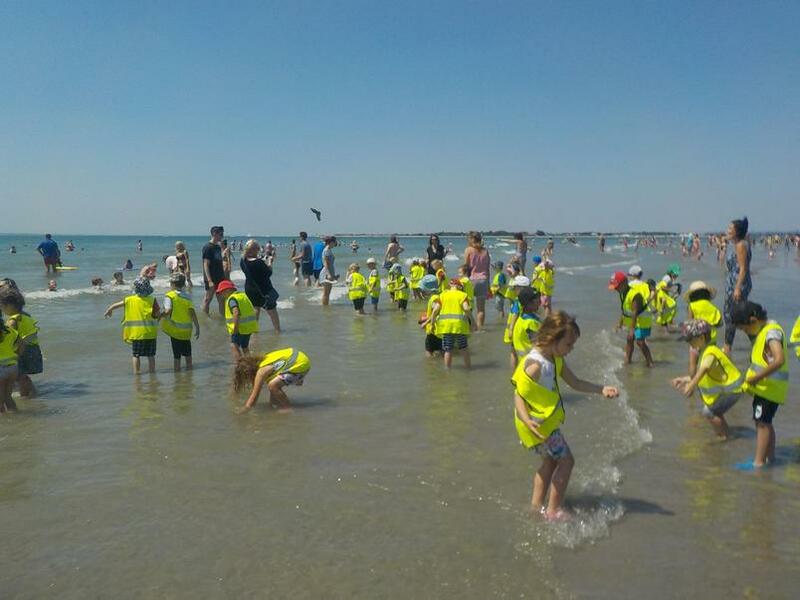 The children have gained so much from the trip with their friends, and being able to experience the different sights, sounds and smells of the seaside. 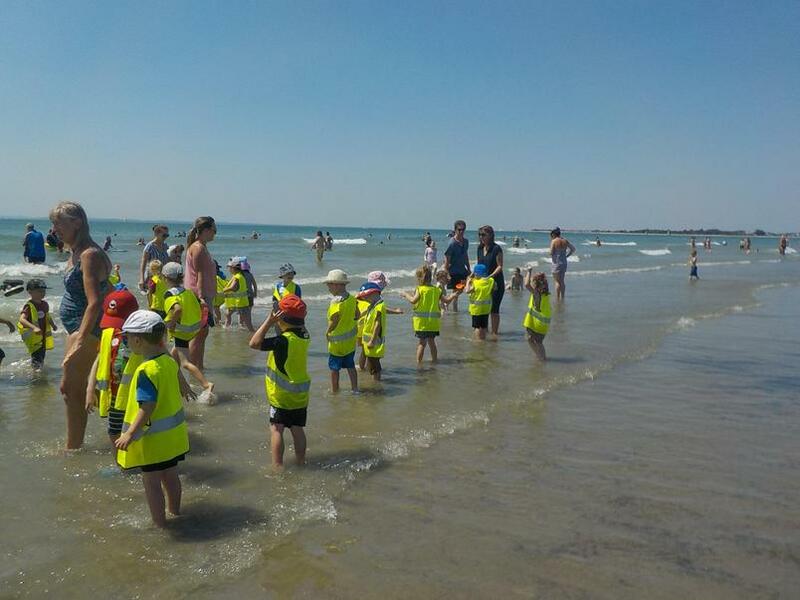 We look forward to a return trip next year, with all our fingers crossed for a lovely summer in 2019.